Love to drink wine? this is a must have app for you. 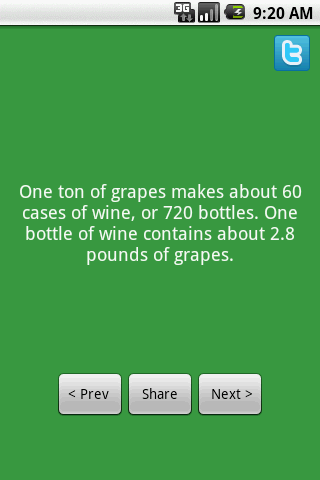 Even if you dont drink wine much, then also you will be happy to find out several things about it. 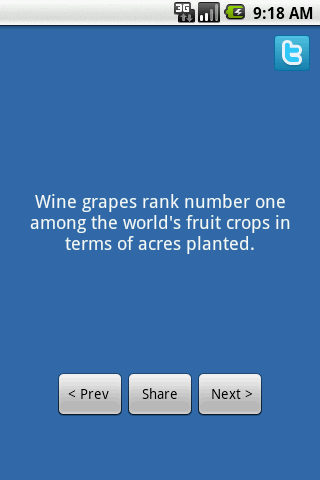 A very interesting collection facts about wine. Facts can also be shared using Facebook, Twitter and Email.